Ehret, F., Vogler, S., Pojar, S., Elliott, D. A., Bradke, F., Steiner, B. and Kempermann, G. (2015). Mouse model of CADASIL reveals novel insights into Notch3 function in adult hippocampal neurogenesis. Neurobiol Dis 75: 131-141. Brocardo, P. S., Boehme, F., Patten, A., Cox, A., Gil-Mohapel, J. and Christie, B. R. (2012). Anxiety- and depression-like behaviors are accompanied by an increase in oxidative stress in a rat model of fetal alcohol spectrum disorders: Protective effects of voluntary physical exercise. Neuropharmacology 62(4): 1607-1618. Boehme, F., Gil-Mohapel, J., Cox, A., Patten, A., Giles, E., Brocardo, P. S. and Christie, B. R. (2011). Voluntary exercise induces adult hippocampal neurogenesis and BDNF expression in a rodent model of fetal alcohol spectrum disorders. Eur J Neurosci 33(10): 1799-1811. Gil-Mohapel, J., Boehme, F., Patten, A., Cox, A., Kainer, L., Giles, E., Brocardo, P. S. and Christie, B. R. (2011). 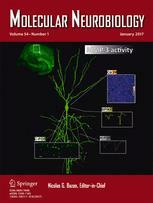 Altered adult hippocampal neuronal maturation in a rat model of fetal alcohol syndrome. Brain Res 1384: 29-41. Gil-Mohapel, J., Boehme, F., Kainer, L. and Christie, B. R. (2010). Hippocampal cell loss and neurogenesis after fetal alcohol exposure: insights from different rodent models. Brain Res Rev 64(2): 283-303. Eadie, B. D., Zhang, W. N., Boehme, F., Gil-Mohapel, J., Kainer, L., Simpson, J. M. and Christie, B. R. (2009). Fmr1 knockout mice show reduced anxiety and alterations in neurogenesis that are specific to the ventral dentate gyrus. Neurobiol Dis 36(2): 361-373. Steyn, F. J., Boehme, F., Vargas, E., Wang, K., Parkington, H. C., Rao, J. R. and Chen, C. (2009). Adiponectin regulate growth hormone secretion via adiponectin receptor mediated Ca(2+) signalling in rat somatotrophs in vitro. J Neuroendocrinol 21(8): 698-704.